I love Netflix, I'll admit it. Many are the nights I've sat up with my husband after the kids have gone to bed, watching one more episode of Orange is The New Black, and looked up at the clock to see it's way past my usual bedtime. Binge-watching shows is here to stay, and Netflix, Hulu and other streaming television companies know it--that's why they released entire seasons of original shows at once, banking that people like you and me will power through episode after episode. It got me thinking, though, what is it that makes us click the play button for the next episode, even if we don't really have time for it? Why do we love Netflix so much? The formula for riveting television was figured out long, long ago. End each episode in a mini-cliffhanger, then end each season in a bigger one, and keep people watching. From the famous "Who shot J.R.?" to Claire walking out on President Frank Underwood at the end of the last season of House of Cards, shows know how to keep us hooked, but do they know they are eliciting a stress response from our bodies? When faced with the acute stress of not knowing what is going to happen next, the body produces an excess of CRH, a hormone that mediates the release of other stress hormones in the body. This causes the body to remain alert (our fight or flight response), which can disrupt sleep. So, when you're faced with that cliffhanger at midnight, you're suddenly not so tired and you find yourself pushing through the next show. Score! You finished another episode! Have you ever thought of watching a whole TV season... or series... as a major accomplishment? Have you ever been at a party and compared notes as to how far through which season you are? It seems silly when placed next to other "real" accomplishments, but Netflix is designed as a checklist for a reason. When we check an episode (or season!) off our list and move to the next, it triggers that gorgeous neurochemical cascade of serotonin (satiety) and dopamine (pleasure). We're actually tapping into the reward center of our brains when we achieve a whole new level of Netflix mastery. Finishing a number of episodes, or even a whole series allows us to feel as if we have completed a task, which causes a surge of dopamine release in our brains. This dopamine then motivates us to keep watching more, creating a feedback loop that is seemingly never ending. Dopamine release and motivation is a hallmark of addiction, which poses the question: Could we become addicted to Netflix? Many of us joke of being 'addicted' to our favorite shows, but maybe this sentiment means something much more serious to someone else. Since 1996, Internet Addiction Disorder has been studied and considered for inclusion into the clinical setting as a documentable disorder. And, while this represents an extreme that won't affect most Netflix users, it is a reality when you're talking about binge-watching TV for hours on end. Where do all of those hours go? If you commonly fall prey to binge watching, then you've most likely sat down to watch one forty minute episode only to find yourself watching for another forty minutes...and maybe another forty. You're not alone: Netflix users watch more than two billion hours of movies and television shows every month! And maybe you even do this knowing you have something much more important you should be doing! Netflix can definitely damage your time management. But, why? The human brain best receives, processes, and remembers information in small segments, also known as the chunking principle. This includes the way we process time. It's much easier for us to divide our time into concrete portions such as 30 minutes or 60 minutes. But, when it comes to most shows on Netflix, we are talking about 40 minutes or 20 minutes, which doesn't exactly fit into our designated time chunks. Seriously, who watches half of a show on Netflix? Now you're two episodes in, and twenty minutes over your one-hour limit. Might as well watch one more episode to make it an even two hours of Netflix, right? Binge watching our favorite shows on Netflix definitely makes us happy, why else would we do it? Well, there's a lot of discussion on this topic, actually. 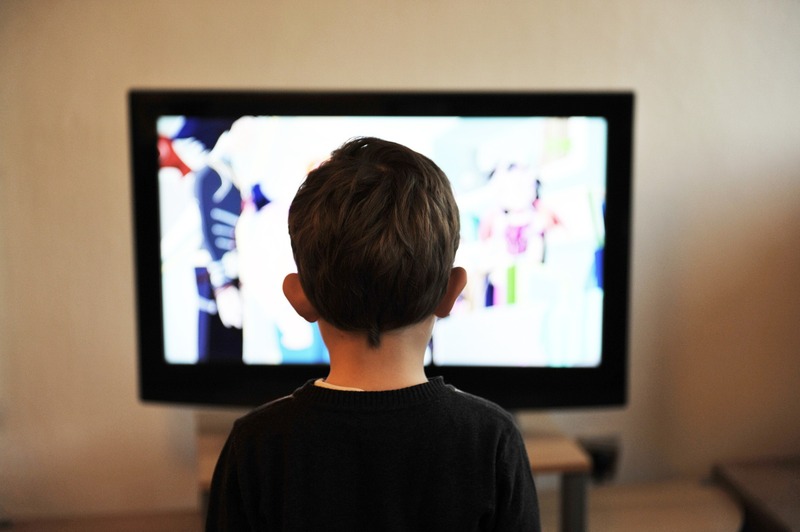 The bottom line when it comes to happiness, according to happiness author Gretchen Rubin, is to watch TV mindfully and purposefully. Ummm... not exactly the Netflix binge-watch, although Rubin did state in another article that binge-watching could still fall in the happiness category. Another neuroscience note on TV and happiness... Light is a major factor in the regulation of sleep wake cycles, so you've probably heard that too much light from a TV screen or laptop may keep you awake late at night, however recent studies have found that bright lights can naturally increase levels of serotonin in our brains - a neurotransmitter most commonly known for its contribution to feelings of well-being and happiness. So not only is the light from your screen keeping you awake so you can watch more, but it's also providing you with feelings of happiness to promote good spirits while watching some quality entertainment. How do we control the Netflix "addiction"? So in summary, I feel happy knowing I have accomplished something, happy because the entertainment is that good, and happy because my brain loves the light. BUT... then I feel sad that lunches aren't packed for the next day, anxious that I didn't grade that stack of tests, and a bit panicky that I've only got 6 hours until my toddler starts singing her good morning song and I know I need more sleep than that. So how do I manage? My 6-year-old is an avid Netflix binge-watcher. There are essentially two strategies for controlling her screen time: define the number of shows she can watch or define the amount of time she can watch. There are pros and cons to each. Quantifying TV watching in units of shows is easy to understand, plus she's on the journey the creators intended, and it seems like it should be easy to say that one is complete and she can stop now. But of course when the show ends, my daughter "just wants to find out" if that character got rescued from the cliff (turns out that many 1980s cartoons ended in literal cliffhangers)! The other strategy, setting a specific length of time to watch, can have advantages. Although my daughter sometimes feels frustrated at not completing a show, by leaving off in the middle she doesn't get to the cliffhanger that would make her keep watching. She seems to fight this second strategy less. It's hard to be a grownup, because no one is telling us to stop. Watching just one episode can feel a little like eating only one Reese's cup in a two-pack. You told yourself you'd stop there, but it was so good you just want a bit more. External reminders, like setting a timer, can give us that reality check to boost us off the couch, do something different, and break the spell. One trick my husband and I use a lot is pausing during a transition or slow part of a show to complete a task or chore, and then returning to finish the episode. This really helps break up the time-warp effect of Netflix-ing, and fools us into accomplishing the chores while still feeling happy from TV watching. Whatever your strategy, finding a good balance is essential for an overall healthy life. *Big thanks to my student, Claudia Flink, for her help with this article!